Mr. Pawley was born in Brampton, Ontario in 1934, but grew up in Manitoba after his family moved there. His father had moved there earlier to find work in Winnipeg. Howard obtained a teacher’s certificate, and later a law degree from the University of Manitoba. While in law school he met and married Adele Schreyer, a cousin of Ed Schreyer who later became the premier of Manitoba. Family connections set Pawley on the road to politics. His father was an early (but unsuccessful) candidate for the Co-operative Commonwealth Federation party in Manitoba. At age 23, the young Pawley became the youngest president of the CCF. Premier Schreyer convinced him to run for the New Democratic Party in the riding of Selkirk. Pawley was elected in 1969, and re-elected again in 1973 and 1977. In the successive NDP governments, Pawley served as Minister of Government Services, then Minister of Municipal Affairs and finally as the Attorney General. The introduction of government-run automobile insurance program counts as one of his major achievements from this period. Schreyer resigned as leader of the NDP when his government was defeated in 1977. The party caucus then named Pawley as their interim leader, an appointment confirmed by delegates at a convention. Under Pawley’s leadership, the NDP returned to power, winning the general elections of 1981 and 1986. Premier Pawley participated in the historic Meech Lake Accord negotiations, helped to bring about changes in his province’s labour code to ensure the fair payment of wages, and fought for the inclusion of sexual orientation protection under the Manitoba Human Rights Code. In 1988, following a lost vote of non-confidence, Pawley resigned from the legislature. He made an unsuccessful bid for a seat in the House of Commons, before returning to law and then to the academic world. Pawley returned to Ontario in 1990 to accept a position in the Political Science Department at the University of Windsor. Among his other contributions to our community may counted his appointment to the Windsor Public Library Board where he helped to guide that institution out a period of turbulence and controversy. In 2001 Mr. Pawley was awarded the Order of Canada, adding to his earlier commendations for public service: the Golden Jubilee Medal and Diamond Jubilee Medal. 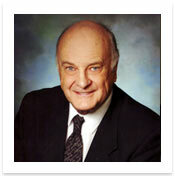 Shortly after his 81st birthday, Mr. Pawley passed away at his Windsor Ontario home. “Former Manitoba Premier Pawley Passes Away at 81.” The Globe and Mail, Dec 31, 2015. http://search.proquest.com/docview/1752544598?accountid=31270.